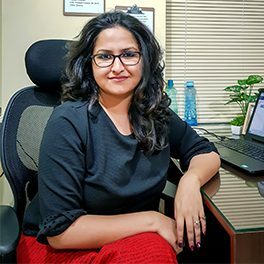 Mitali is the emcee at Digital Concepts who is the person behind the daily functioning of the agency. Apart from her 10+ years of experience in the Digital Marketing industry, she wears many hats at work and is driven by the passion to building strong teams who can rise up when the occasion demands. Leadership roles came early in her career and over the years she has scaled up this skill and has become a pillar of support to her team members. With strong belief of a leader, she motivates, encourages and even pushes the team members to scale new heights.